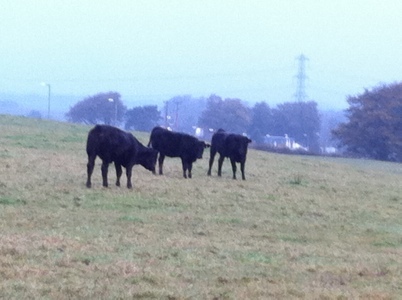 These cows live in the field behind us right now. I went out to try out the jokes on them. They were not amoosed. I liked this, I was amoosed, lol. Love cows. You do have that wonderful British gift with words that makes us Americans groan with jealousy. Or, in the case of cow jokes, just groan? I’d have voted for several, if I could. or, see to the udders first..!